On September 14, New Route Theatre will present "My Name Is Rachel Corrie," a 2005 play adapted by British actor Alan Rickman from the diaries and emails of an American college student who was involved in protests against the destruction of Palestinian homes. 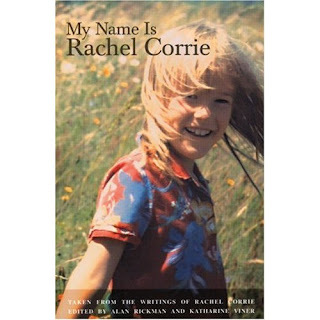 The real Rachel Corrie was killed by a bulldozer manned by Israeli forces during a protest at the Gaza Strip. Details of her death have been disputed (like whether she was run over deliberately) but the words in the play are her own and obviously, what you see and hear in "My Name Is Rachel Corrie" comes from her point of view. This controversial play (that's the cover of the play you see above) has been called a polemic and agit-prop theater, and, as such, it fits clearly within New Route Theatre's mandate to "explore the nature of the human spirit in the context of ethical, political, and social choices." "My Name Is Rachel Corrie" fills the September slot in New Route's One Shot Deal series, with one performance only, presented at the Eaton Gallery in Bloomington. Because seating is limited at the Gallery, you are asked to email new.route.theatre@gmail.com for reservations if you plan to attend. 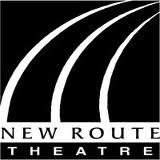 For all the details, you can visit New Route's Facebook page for the event here.